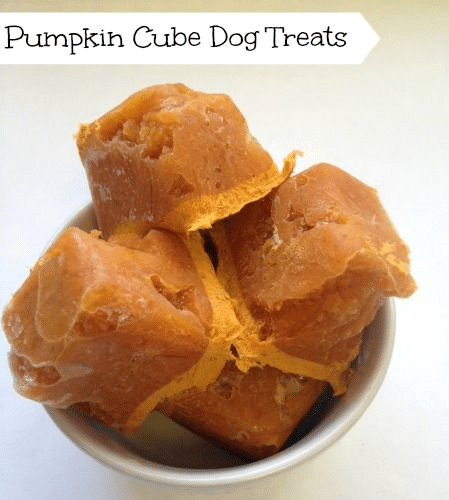 Pumpkin Pulp Treats for Cat and Dog Weight Loss, Digestion and More! Now that Fall is in full swing, we can’t help but have pumpkin on our minds. 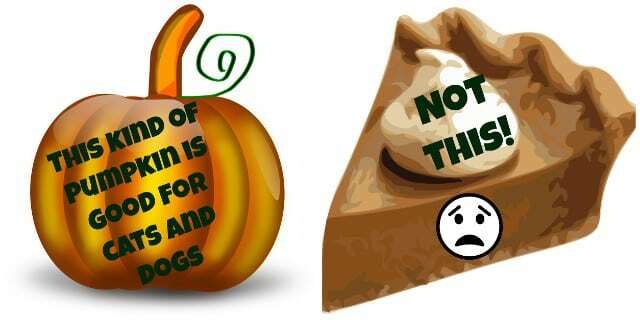 Not only is it a great treat for our pets, but the health benefits of pumpkin for cats and dogs are huge! 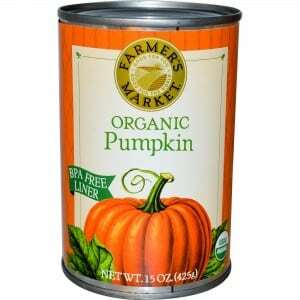 Pumpkin has tons nearly three grams of healthy fiber per one cup serving. This helps with maintaining firm, bouncy poop. Pumpkin is dual-purpose magic; it’s great for those times when your dog or cat is constipated, like right after amputation surgery. Or, when your pet has runny poop! Pumpkin is nature’s weight loss trick: adding just a tablespoon into your dog or cat’s food helps them to feel fuller, faster. Pumpkin is packed with Vitamin C, which has antioxidants and immune system boosters. Just add a tablespoon to your dog or cat’s meal. But please don’t feed your pet pumpkin pie. That’s not what we mean. Instead, you want to feed them natural, unsweetened homemade or canned pumpkin pulp. We know it’s not always convenient to open a can of pumpkin pulp and keep it in the fridge. One thing you can do to avoid waste is too pen a can, spread it into ice cube trays and freeze pumpkin cubes. Or even better, check out this bagged dehydrated pumpkin pulp mix. 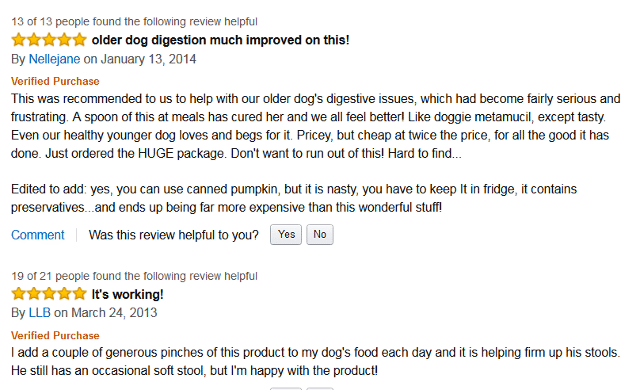 We think this Diggin’ Your Dog Firm Up Pumpkin Super Supplement for Digestive Tract Health is a pawesome way to keep pumpkin pulp on hand at all times, don’t you? Antioxidant rich blend to support healthy digestion. One 4oz bag will mix with water to make over 35oz of supplement. No more cans of pumpkin that go to waste in the fridge. Use what you need when you need it. Great for travel. Firm Up. supports regularity, happiness and health in your pet. Firm Up was created because we “dig” your pet… and your carpet. Firm Up. is 100-percent grown, harvested, made and packaged in the USA… it is also packaged in BPA free resalable pouches that are made in the USA. Can be fed wet or dry To feed dry simply add one dose to feedings once a day. To feed wet, simply mix one part Firm Up. to one part water and add to feedings once a day. All size dogs and cats can benefit from Firm Up. We love pure pumpkin at our casa… it’s great for hiding pills too (for Jasper, allergy and her flea meds)! Never thought of freezing the pumpkin in ice-cube trays. Great idea. We just leave a can in the fridge and use it till it grows mold! (ha ha). Kidding. But frozen might make it more of a game for little JL. Alison you are so funny! Yeah I would totally try the pumpkin ice cubes with her and see how it goes. She just might love it! Oh and I never though of it as a way to hide pills, thanks for that tip.